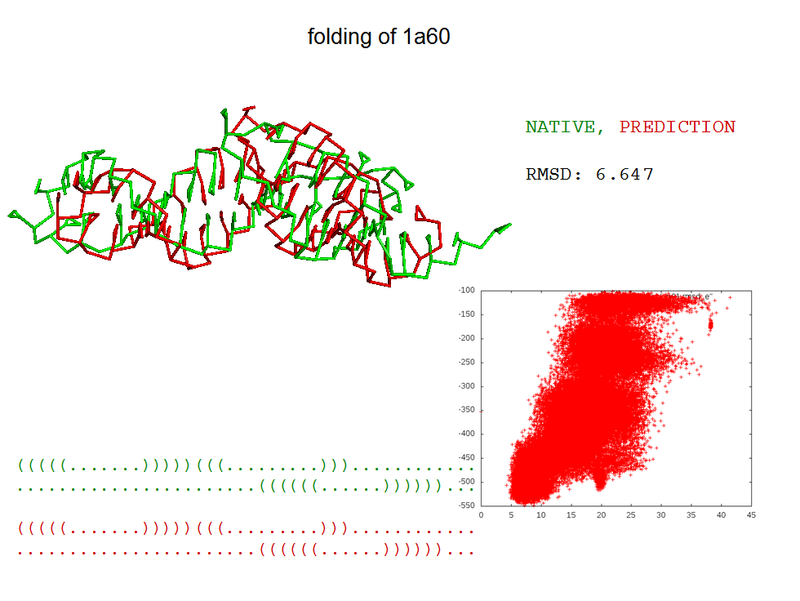 SimRNA is a tool for simulations of RNA conformational dynamics (folding, unfolding, multiple chain complex formation etc. 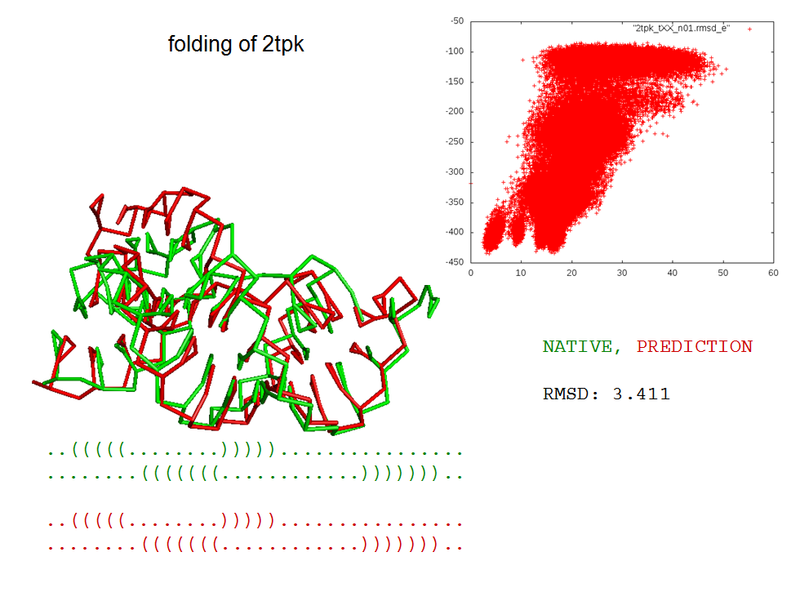 ), and its applications include RNA 3D structure prediction. SimRNA can be initiated with input files that include either the RNA sequence (or sequences) in a single line (similar to the Vienna format) or in the form of a structure written in PDB format. The PDB format should be simply the structure of the RNA with no heteroatoms or unusual names. In the current version readable residues are A, C, G and U only (i.e. no modified residues are supported as of yet). SimRNA is available for academic users under the [license] (details enclosed in the license file to be found in each package). Non-academic users and those, who do not accept the license, may NOT download or use the software. A separate commercial license will be issued in the future. Both MacOSX and Linux standalone binary versions of SimRNA3 are available for download. All feedback, including bug reports and suggestions for new options to be implemented, should be sent to simrna@genesilico.pl. 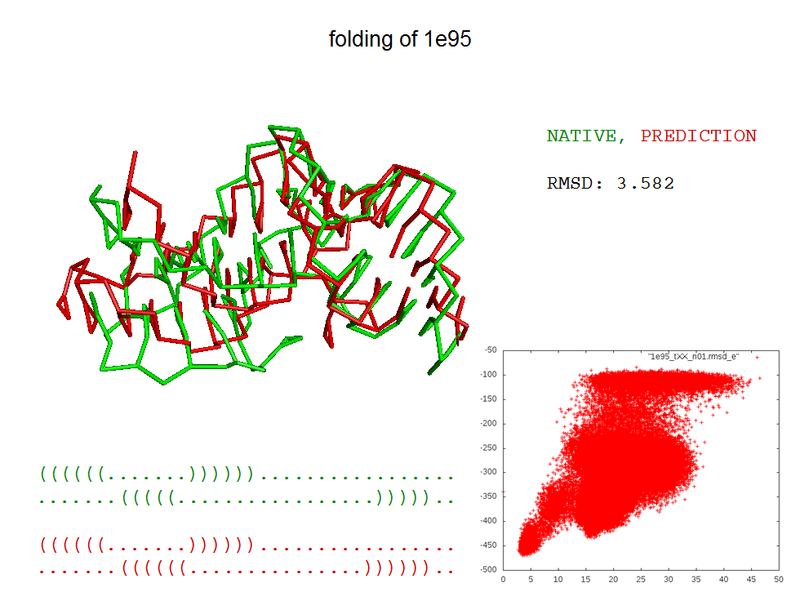 SimRNA: a coarse-grained method for RNA folding simulations and 3D structure prediction. Michał J. Boniecki, Grzegorz Łach, Konrad Tomala, Wayne Dawson, Paweł Łukasz, Tomasz Sołtysiński, Kristian M. Rother, and Janusz M. Bujnicki. The following are examples of SimRNA de novo folding results.